If you have a window wall in your house, it would be best to make the most of it. I mean it would look nice with your interior, plus when you need sunlight you don't need to go outside as it will literally gets through your window walls. 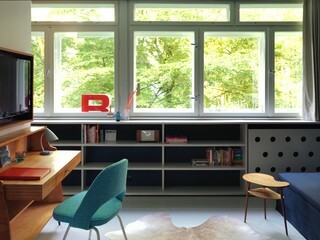 Here are a few photos I snatched at houzz.com that you might be inspired to do if ever you make a plan of widening your windows at home.